UFC 118 Results, Replay and Play-by-Play: Frankie Edgar defeated BJ Penn! The 118th Ultimate Fighting Championship is about to begin a few hours from now. UFC 118 features the rematch of BJ Penn vs Frankie Edgar. As we all know, BJ Penn was defeated by Frankie Edgar in UFC 112 to become the new Lightweight Champion! BJ was just defeated via Unanimous Decision. This defeat was unacceptable to many that's why he and his fans demanded for a rematch. 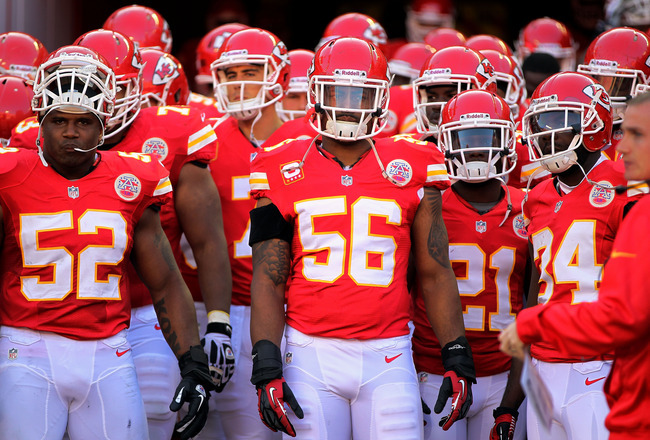 And now, the rematch became a reality. 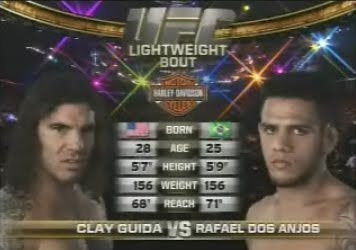 UFC 118 BJ vs Frankie Edgard Part 2 is the most awaited rematch this August 2010. Whoever wins this time will be the true Lightweight champion of the UFC. Because I'm familiar with the fighters in all fight cards and I will be sharing my prediction for tonight's match. In the Welterweight bout, Nate Diaz will defeat Marcus Davis via KO on Round 2. Gray Maynard, the undefeated Lightweight fighter, will be defeated for the first time by Kenny "KenFlo" Florian via Submission. In the Middleweight bout, Mario Miranda will defeat Demian Maia via TKO! 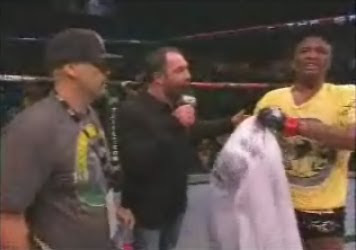 And lastly, Randy "The Natural" Couture will surely win against James Toney, because he's a member of the Expendables! Haha! In the main event, I think BJ Penn will have his revenge successfully. 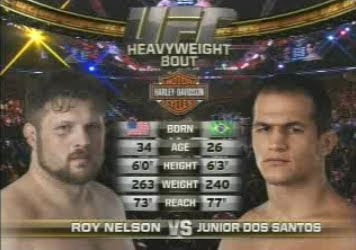 He will surely feel a sense of justice against his defeat in UFC 112. The match will last for 5 rounds and he will win via Submission or KO in the last round. All of these predictions are not based on statistics or the fighter's UFC history, these are just lucky guests. The main event will start at exactly 10:00 PM ET / 7:00 PM PT on August 28, 2010 at the TD Garden in Boston, Massachusetts, United States. 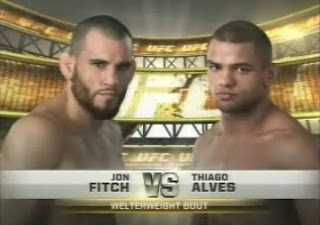 Make sure that you bookmark this page and come back here on the said time to watch the free live streaming of UFC 118. As usual, just like what were doing in the previous UFC events, we'll do our best to give you the best and fastest free live stream of this MMA event. 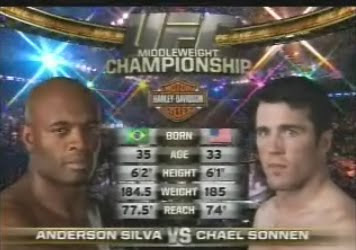 It's not that clear compared to Yahoo's HD streaming of UFC 118, but if you want to watch it in HD, just spend around 50 bucks and you'll get what you want. We offer you 100% success guarantee for real exam with help of self study testking 646-671 study guide and testking 642-691 tutorials. Download the testking 642-262 resources to pass your exam on time. This yellow box will contain live updates and live streaming instructions of UFC 118 later. UPDATE 08/28/2010 6:38 PM: Here we go again for another exciting UFC night. We are currently preparing our live stream channels and doing some final tests. So stay put and come back here at exactly 10:00 PM ET. We do hope that we'll not encounter any technical problems tonight. UPDATE August 28, 2010 10:35 PM: The Welterweight bout has just finished. Diaz defeated Davis via technical submission (guillotine choke) in round 3. Let's head on to the next match! "I feel good. I think I broke my hand on the second round." Diaz said in an interview after winning tonight's Welterweight match. My first prediction came true! Nate Diaz won, but not via TKO. Anyway, he still won and that's what matters. 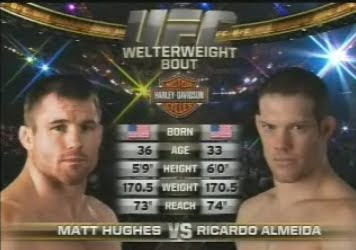 UPDATE August 28, 2010 10:46 PM: Kenny Florian vs Gray Maynard is about to start. They are both entering the arena. As I predicted, Gray Maynard will be defeated for the first time by Kenny "KenFlo" Florian, but I'm not pretty sure about it. Let's just see what will happen in this Lightweight bout. UPDATE August 28, 2010 10:53 PM: Right now, Kenny's move is very good. He punched a lot from different angles that is very hard to predict. UPDATE August 28, 2010 11:06 PM: It looks like Kenny Floria will lose tonight's match against Gray Maynard. UPDATE August 28, 2010 11:09 PM: Gray Maynard remains unbeaten. 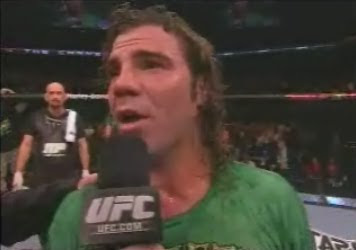 He won the match against Kenny Florian via unanimous decision! Oh my, my prediction didn't come true. UPDATE August 28, 2010 11:18 PM: The Middleweight bout of Demian Maia vs. Mario Miranda is about to start. I predicted that Mario Miranda will defeat Demian Maia via TKO. I'm not sure about my prediction, but let's see what will happen in this match. UPDATE August 28, 2010 11:33 PM: The third and final round of Maia vs Miranda has started! This is it! The last round! Maia dominated the first two rounds. It looks like Miranda will be defeated by Maia tonight and my prediction will not come true again. Too bad for me. UPDATE August 28, 2010 11:36 PM: Maia is now dominating the last round, Silva is screaming for Miranada. Miranda is trying to reverse the situation and he almost did it, but Maia stopped him. UPDATE August 28, 2010 11:36 PM: The last round ended. Maia was unable to submit Miranda, but he dominated the entire 3 rounds! UPDATE August 28, 2010 11:42 PM: The official decision has been announced, Demian Maia won via unanimous decision. All judges scored 30-27 in favor of Demian Maia. 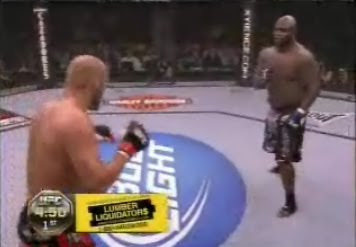 Now let's proceed to the Heavyweight match, Randy Couture vs the trash-talker James Toney. UPDATE August 28, 2010 11:44 PM: James Toney said that he will knock out and defeat Randy Couture. Let's see how far Toney's trash talking goes. 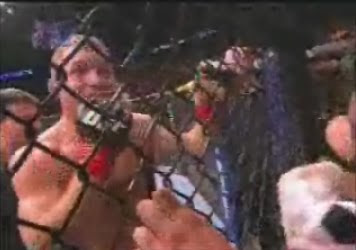 Everyone inside the octagon are shouting "boooooo" to Toney, haha! 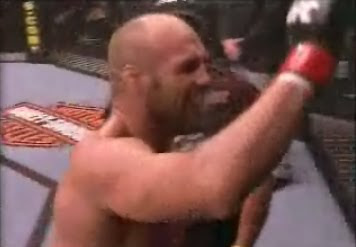 UPDATE August 28, 2010 11:48 PM: Randy Couture is entering the arena. Everyone is cheering for him! He is definitely loved by all! I'm really thrilled and excited for this match. I want to pee right now but I can't get off my seat, because this match is almost starting! UPDATE August 28, 2010 11:52 PM: The match has started and Randy Couture is now over Toney! He is trying to defeat Toney via submission. He is punching Toney in the head over and over again! This is a sure victory for Couture! UPDATE August 28, 2010 11:52 PM: Wow! Just like that! Captain America wins for the 16th time in the UFC! In just 1 round, the trash-talker was defeated. He is so pathetic in the arena. Couture deserved to win. Poor Toney, your welcome party is a nightmare! My prediction came true! Wohooo! UPDATE August 29, 2010 12:03 AM: The main event is about to begin! BJ Penn will attempt to defeat Frankie Edgar tonight! Let's see what will happen and if my prediction will come true. Will BJ Penn get his belt back tonight from Frankie Edgar? Let's see! UPDATE August 29, 2010 12:03 AM: The main event will almost start. Both have entered the arena. UPDATE August 29, 2010 12:20 AM: The first round has ended, we are now on the 2nd round. Both are moving pretty fast. This match is still unpredictable. 3 rounds to go after this match. UPDATE August 29, 2010 12:22 AM: Edgar is attempting to defeat Penn via submission, but Penn has an outstanding guard and he will never accept another defeat from Edgar. UPDATE August 29, 2010 12:29 AM: Everybody is shouting Frankie Frankie Frankie! Frankie is dominant in the first 2 rounds. We're now on the round 3 of this championship bout. I think Frankie's gonna win tonight. UPDATE August 29, 2010 12:34 AM: Round 4: BJ Penn is attempting to submit Frankie Edgar, but Edgar escaped! And now, Edgar is punching BJ Penn bigtime! UPDATE August 29, 2010 12:46 AM: My prediction didn't come true. Frankie Edgar wins via Unanimous Decision! Congratulations Frankie Edgar! UPDATE August 29, 2010 12:48 AM: Thank you all for watching! Replay videos will be available later. 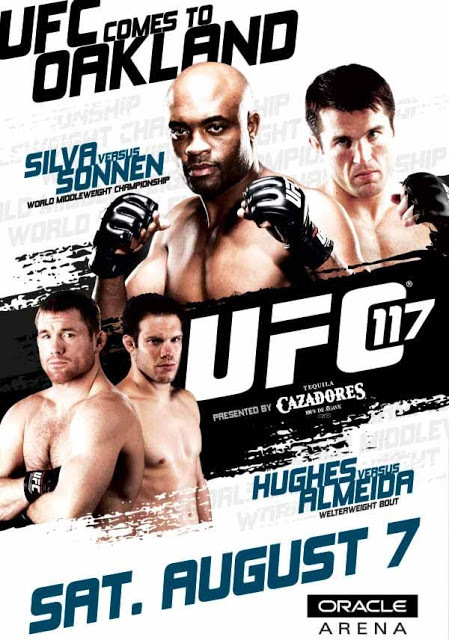 UPDATE August 29, 2010 01:13 AM: Here are the replay videos of UFC 118. Enjoy!